SDL2 C Tutorials, Examples, Demos and more | Comprehensive Collection of SDL2 C Tutorials, SDL2 with OpenGL/Vulkan and other APIs. 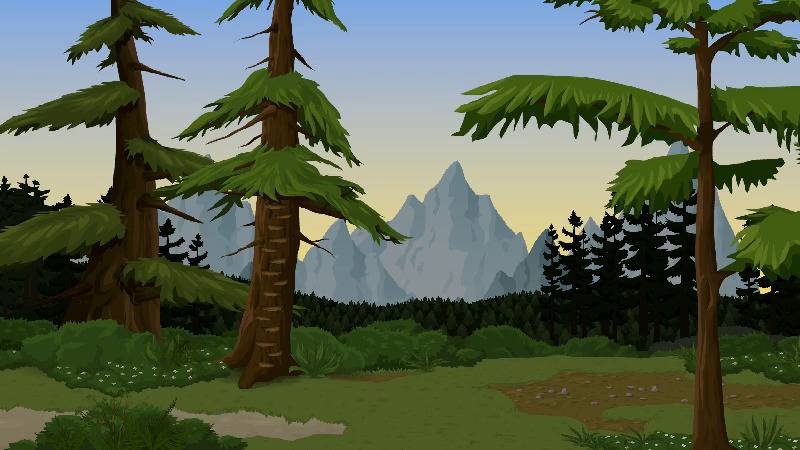 Procedural Sounds and Graphics, plus GLSL Shaders for Game-Programming and general purpose. All done in pure C.
Comprehensive Collection of SDL2 C Tutorials, SDL2 with OpenGL/Vulkan and other APIs. 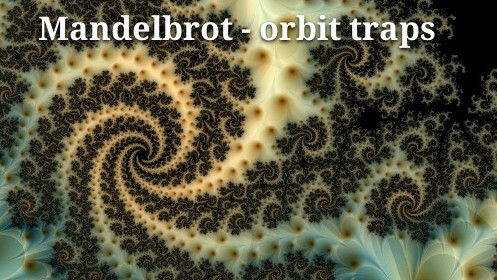 Procedural Sounds and Graphics, plus GLSL Shaders for Game-Programming and general purpose. 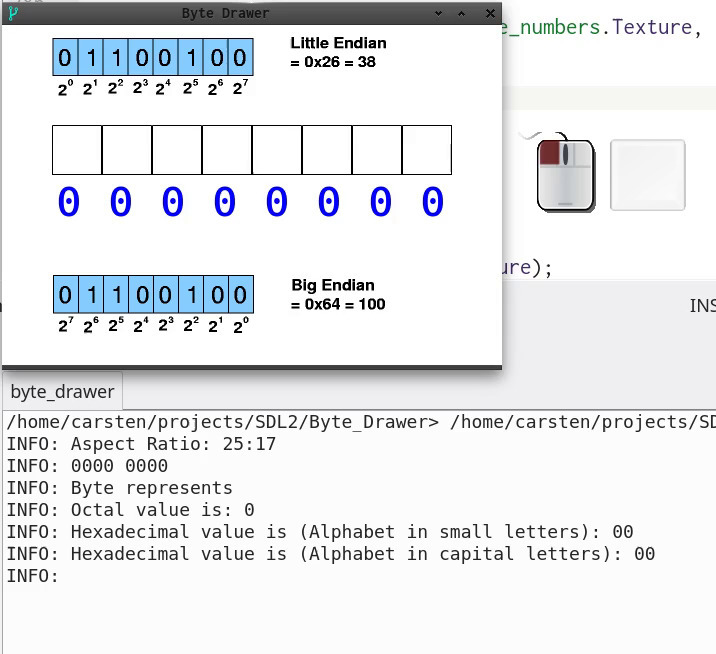 All done in pure C.
This is my effort to make coding with pure C and SDL2 more clear and fun. Why C? Cause C is seeing! =). You should have a working C-Environment and SDL2 Development Libs installed; preferable some of the extensions to SDL, like Mixer, Image and TTF. Will Usher or Lazy Foo. For Mac OS: Setting Up An SDL2 Project in Xcode 9 or without Xcode. I am trying to cover the SDL2-API as needed, OpenGL, Vulkan and a couple of other common API’s like curl or jannson, tho this is pure C and mainly Linux orientated, doesn’t mean I don’t cross-compile for Windows or Android. If you need a german translation I could make that happen. 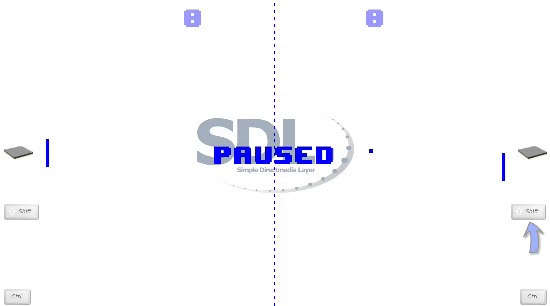 SDL-Audio Series and Joystick/Gamecontroller Series are nearly finished, just polishing it. At the same time I am building up my C-Snippets, but I am pretty behind on that. 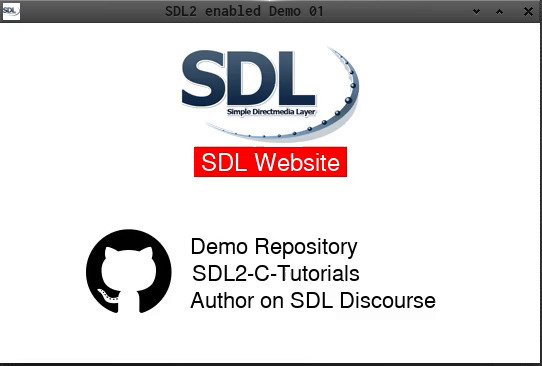 SDL_net 2.0 isn’t covered yet. Feel free to contact me for criticism, Demo Requests or whatever! Oh, you can use the code as you wish, but don’t blame me! Using SDL2 to show Shadertoy GLSL Fragment Shaders. Features “drag and drop”, Auto-Screenshot with shadername, editing with Auto-Compile. WIP: Finishing SDL2-Audio right now, to move on to FFT and finally implement visualization of GLSL shaders with low latency. This is a set of small introductory programs. Pixel Manipulation and how to save a screenshot. This is a series about the SDL2-Renderer. Create a texture from surface, render it flipped, mirrored and rotated. 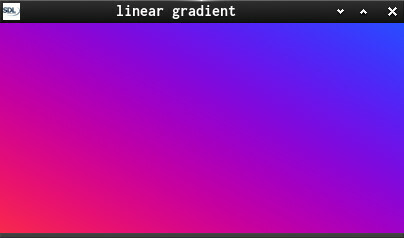 Render and animate a colorful gradient like a new shadertoy one. 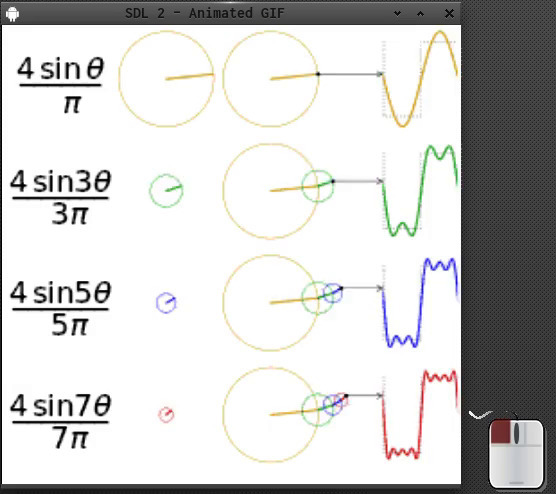 Shows a bit how glsl works and why we want shaders. Records the duration how long left MouseButton is pressed. Program quits after a certain amount of time. 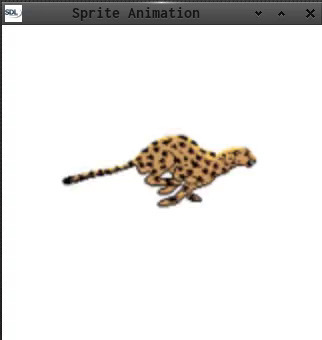 Create Spritesheet from gif and render it timed. Let rect follow the mouse. Drag and Drop. Receiving Text and Files via SDL_DropEvent. 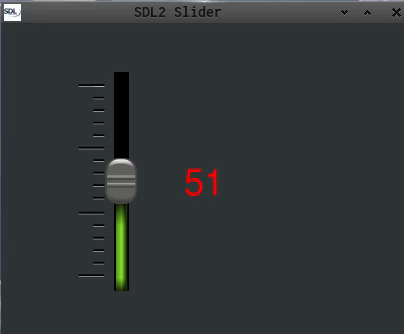 Use of SDL-Mixer for Music. Use of SDL-Mixer for Sound. Use of SDL-Mixer and GUI-Elements. Rapid Parallax implementation with 6 Layers. This is a series about physics - SI-Units, Velocity, Acceleration, Gravity, Friction etc. This is an introductory series about Artificial intelligence (AI)￼. It is a follow up from Mousegrab. Shows how to make a Slider. 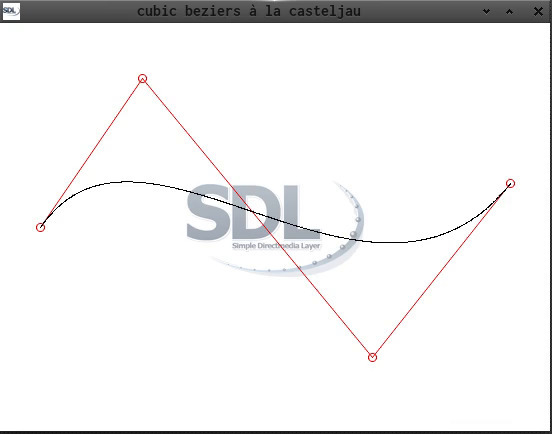 How to apply De Casteljau’s algorithm on a quadratic Bézier curve. Re-Render a part of the screen using SetRenderTarget and SDL_TEXTUREACCESS_TARGET. 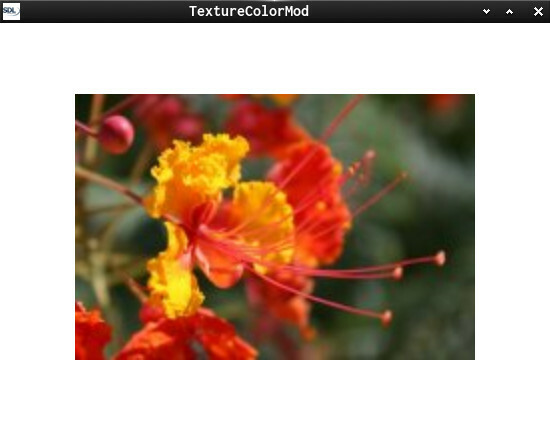 This small demo shows how to use TextureColorMod. My scaleable Pong implementation. You can take over two player control anytime, the AI will take over if you go afk. A mingw Windows 64 build is in the Makefile. You need to fully understand pointers, dynamic memory allocation and bit operations. Plays an animated gif - pauseable and scaleable. This is a starter series about GLSL Shaders using SDL2 as OpenGL Helper and a bit Shader-Language for C-Coders. 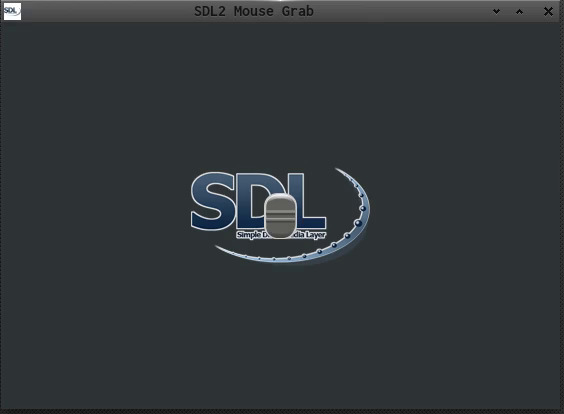 Demo using SDL2 Image, SDL2 TTF, SDL2 Mixer. Flipping Bits on a real char and visualize that. Ressources covering Atari’s classic game. High Level Game State Management - Code Flow diagram. This guide is intended to get the Idea of random drops and as introduction to random distribution or weighted distribution.